New Delhi : Soon after the confirmation of an Indian Air Force pilot in Pakistan's custody, India called Pakistan to treat him humanely and in accordance with the Geneva Convention. The Indian pilot had ejected from crashing MiG 21, landing in the Pakistan land. According to the Geneva Convention, the IAF pilot in Pakistan's custody has to be treated as a prisoner of war (POW) and a POW is to be released once hostilities between both the countries end. The Geneva Convention was laid down in 1929 and members of the United Nations (UN) are supposed to follow these guidelines for the protection of human rights. Article 13th of the Third Geneva Convention states that POWs must, at all times, be humanely treated. It states that any unlawful act or omission by the country, in whose captivity the POW, which leads to death or seriously endangers the health of the POW, is prohibited. This will also be as a serious breach of the convention. 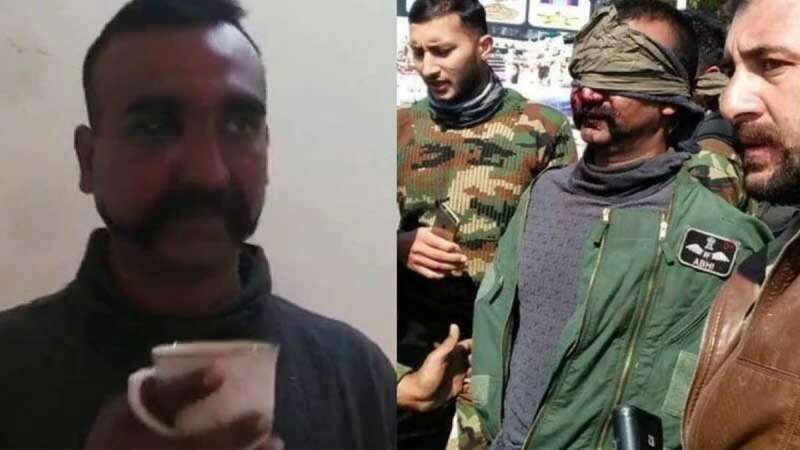 On Thursday, India alleged Pakistan of breaching the Geneva convention after a video showed a ‘vulgar display of injured personnel of the Indian Air Force’. India has demanded his immediate and safe return. The convention also states that POWs cannot be prosecuted for taking a direct part in hostilities. Their detention is not a form of punishment but only aims to prevent further participation in the conflict. They must be released and repatriated without delay after the end of hostilities. The detaining power may prosecute them for possible war crimes, but not for acts of violence that are lawful under International Humanitarian Law. The POWs cannot be subjected to physical mutilation or to medical or scientific experiments of any kind which are not justified by the medical, dental or hospital, which is treating the POW in question. It also prohibits POWs from being intimidated and insulted and be subjected to public curiosity. POWs cannot be subjected to physical or mental torture, or any other form of coercion to secure from them information of any kind. If the POW refused to answer any question, the POW must not be threatened, insulted, or exposed to any unpleasant or disadvantageous treatment. Prisoners of War who, owing to their physical or mental condition, are unable to state their identity, must be handed over for medical treatment. It also states that all personal effects, except for military equipment and military documents, must remain with the POW. The POW must always have identity documents on his or her person. POWs must be evacuated to a site far away from the site of capture and the evacuation must be done in a humane way.